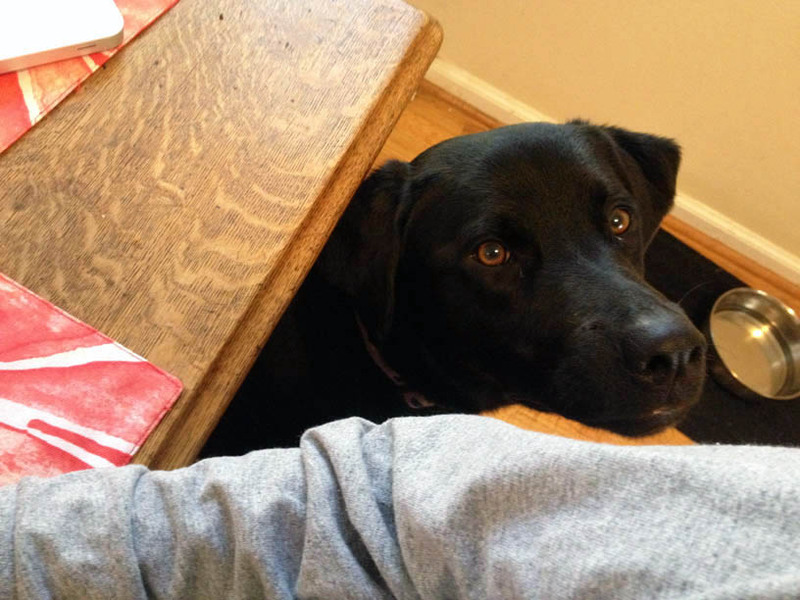 But, while she’s distracted and chewing some socks and towels, let me tell you what should REALLY be the star of your next meal–grilled fava beans. I’d never encountered fresh favas before, until a vacationing neighbor said to pick a few things from his garden before it was destroyed by recent heavy rains. One row of tall plants was overloaded with some type beans, and once I saw the a little stake identifying them as favas, I just had to pick some. And these things were awesome. Since they were so fresh, I wanted to do as little as possible to them (and I didn’t really feel like shelling the beans either). This recipe from Heidi Swanson jumped out at me. It isn’t really a recipe, but more of a guideline for how to enjoy the buttery beans, accented with some herbs and lemon zest. 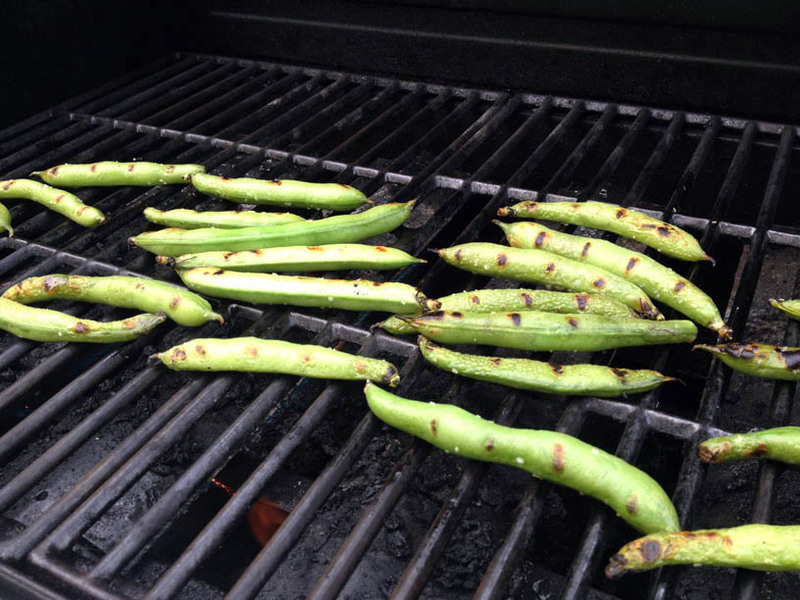 Here’s what you do: Toss a bunch of washed and dried fava beans (in their pods) with some olive oil and salt. Lay them on the grill, careful not to lose any between the grates. You may have to sacrifice a few. Cook for about four minutes per side, until they’re steamy and have nice grill marks. Toss them with a little more oil and salt, if you feel like it, and fresh chopped herbs (I used a little of everything from my backyard) and lemon zest. Your fingers may get singed, but just open the pods, and eat the beans! Buttery and smooth, and so delicious. I can’t wait to find more soon–one local farmer said he’ll have them at the market in a few weeks. 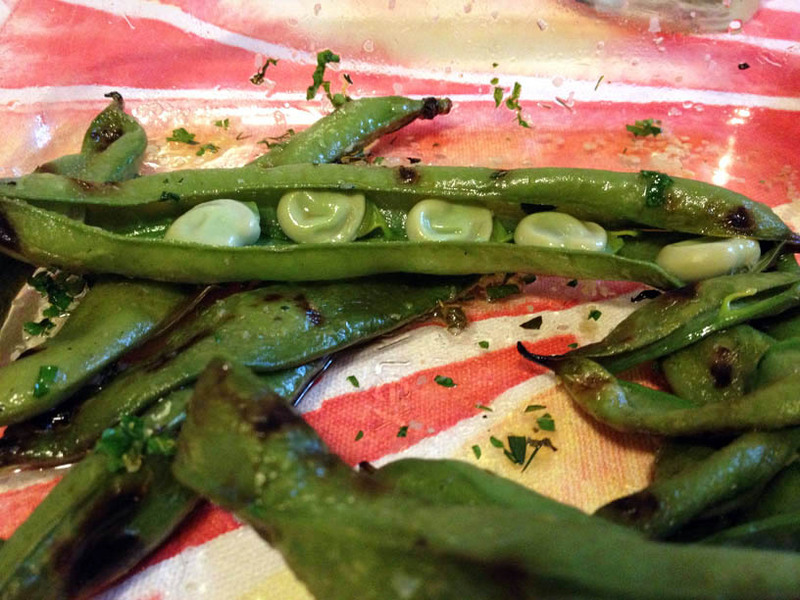 And after I get my fill of simple grilled favas, I’ll maybe try out some other recipes. If any are left. ‹ PreviousCSA: What is Lamb’s-Quarters? Does it go with liver and a nice Chianti?